The savage and cruel Slavern are notorious for their part in the Eldred/Slavern war, since then they've been a scourge and a menace to colonies, shipping, and civlization in general. Brutally strong and effective in melee, they are also dangerous at range. The Slavern: a CR 1 creature, including a full stat block. Four monster knowledge blocks, each delivering new information at an increasing difficulty. The Slavern Submachinegun, more primitive than an Autotarget Rifle. Expanded ecology information about the Slavern. 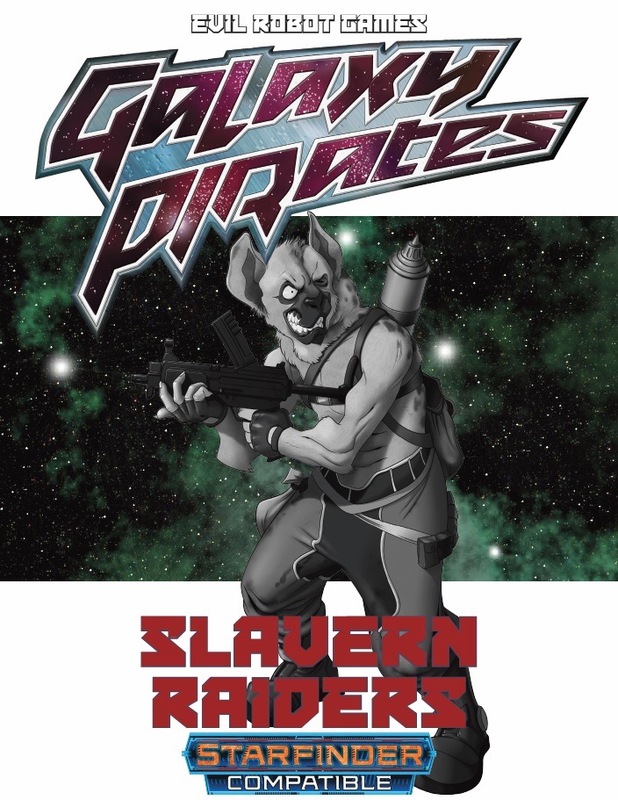 Sign in to start a discussion about Galaxy Pirates - Adversaries: Slavern PDF!